HF: The following has been extracted from the Company’s history on its website (linked below). This material is copyright but can be copied for non-commercial purposes. Its plant is at 2-4 Dai Shing Street, Tai Po Industrial Estate, Tai Po, HK. In 1984 Thomas De La Rue PLC set up a banknote printing plant in Tai Po. 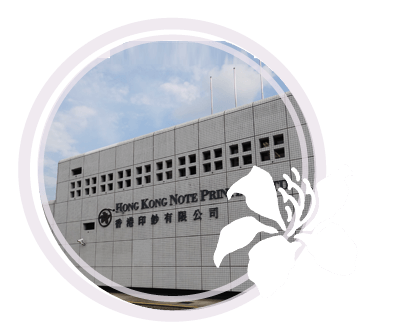 In April 1996 the Hong Kong Government purchased this existing factory, machinery and equipment through the Exchange Fund, and operated it under the name of Hong Kong Note Printing Limited. In October 1997 the Hong Kong Government sold 10% of the Company’s issued share capital to each of the three note-issuing banks in Hong Kong. Namely The Hong Kong and Shanghai Banking Corporation, Standard Chartered Bank (Hong Kong) Limited and Bank of China (Hong Kong) Limited. Present – The Hong Kong Printing Limited’s principal business is still to print HK dollar banknotes for the three note-issuing banks. Annual production volume exceeds 320 million banknotes. In addition, the Company prints small quantities of banknotes for Banco Nacional Ultramarino of Macau and endpaper of Hong Kong Special Administrative Region and Macau passports. This article was first posted on 19th June 2015.